One thing I love about Palm Springs Restaurant Week is the Eat.See.Stay deal they have going on. It's not just deals on restaurants but also hotels and attractions like museums, the Living Desert zoo, and tours of the San Andreas fault. 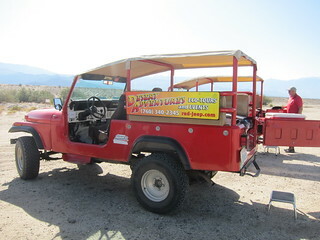 During the Restaurant Week, Desert Adventures Red Jeep Tours is doing a combo package with an Indian Canyon eco-tour and lunch at select restaurants ($125), or a San Andreas Fault stargazing/nightwatch tour with dinner ($150). 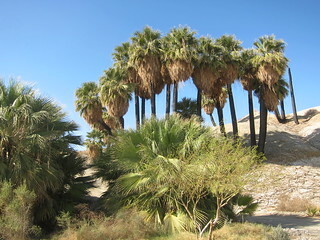 During our media trip to Palm Springs, we got a chance to experience the San Andreas fault tour. Our tour guide has been with the company for a long time and was very knowledgeable. Our first stop was the oasis. Oasis in the middle of the desert? 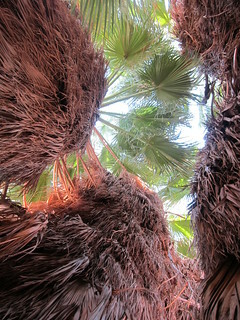 Yep, apparently there's over 40 billion acres of water underneath this desert and there are palm trees everywhere in this oasis.